Tried 9m for foiling - not the best for low wind (too heavy/soild construction), was falling from the sky at 14-15 kn. 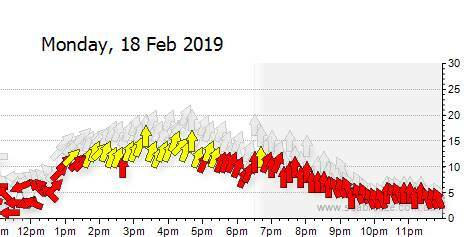 Really that surprises me I have had the 7m on my surfboard in 13-15knots and its stable AF...infact as test on the beach I pulled the centre lines with kite at 12 to see if it would fall. I guess if you going downwind on a foil fast might be different. 13-15 knots for a 90+kg person sounds too good to be true for a 7m, and a 9m falling out of the sky in 14 - 15 knots doesn't sound right. I tend to agree on the comments above. Andre are you referring to these wind guestimates or real values? AND the big question are you referring to these ranges for DWing which you mainly do as lets face it you can always go small on DW. Holding ground on a point break with a lot of water moving is a different story. Of course skill plays a bit part in holding ground in lighter conditions as does cat like feet and board choice. Interesting to read different reviews. Ive been on the same reo's for years now. I guess im in the "if it aint broke, keep thrashing it" bucket. Plus i prefer to buy boards, and surfboards, and more surfboards, and bikes and other toys. It would be interesting to know the weight. A little while ago there was a thread on mono strut kites and someone post a picture of kite weights, I was very surprised to see the core section was one of the lightest and weigh less than the monos etc... 2.14kg?? Maybe. Either was I didn't think there would be a massive difference between the section and the nexus. I have flown the 6m,7m,8m,9m Nexus sizes now. The 7m is the best of the bunch with the 6m close second. Nothing wrong with the 8m and 9m but they blend in a bit more compared to the 7m has perfect blend of speed and power...Its a quiver killer. If you could only get 1 surf kite its a no brainer I would get this 7m kite for 16kn-24kn. I noticed how good the 7m Nexus was after jumping off the NEO 7m which I thought was an awsome kite too. Wiil fly the REO later this week. I am looking at upgrading to core kites as well but what I don't understand about this review is that it is obvious that you prefer and focus on waves so why haven't you given the Section a fair go or the other kites. If the Nexus is great in surf it would stand to reason the Section would be brilliant? No mention of its free-ride free-style abilities. At first I thought this was a good open review but now..... well my sense of fair play has been jaded. I don't use core kites but I talked to a lot of people who do. The nexus is a beast in the waves and it is more forgiving than the section. So from what I heard it is more of a skill question if you should go nexus or section. Hahaha yeh I actually demo the 7M nexus expected to bag it...but its a ripper. I couldnt get a demo of the Section to try yet...its a bit like ice cream you cant smash all the flavours at once. .If you read my other reviews I have flown the SST the most and am getting few sessions under my belt on the NEO now. Next is the REO for a few sessions. Regarding the SECTION I am hanging out to fly one. From feedback I have researched it is a bit lighter, less grunty and flys fast/smooth. I will have to get a demo to try it too. The 7m Nexus is pretty ON. Other lads that have tried it have all commented similar. Being a bigger lad I like the extra grunt in my kites too. Bottom line go grab the demo from Action sports and make your own mind up. Hi Andre! Have you ever tried the Cabrinha Drifter 2018/2019? How is it compared to these kites you are trying now? I have Cabrinha 10m and 8m (both 2018, and I love the 8m). I am planing to buy a 6m. I am in doubt if I should stay in Drifters (use same bar as 8m), or get another one, (like Nexus, or Enduro). Thanks for all your reviews! Yeh AndreC what about the drifter?? Straight up I'm calling BS on this review! I just recently changed quivers from sections to nexus's and I am disappointed, to say the least. I am predominantly a wave rider but I am starting to do a few more airs. I was looking at changing kites to something with more grunt for this reason. I know I would lose the on/off power and drift but for where I was at it felt right. Therefore I was looking at Neos etc. But when I read the OP review all of my prays were answered. Same brand, slightly more power but still drifts awesome.....wrong!!!! So first up Ill confess I've only had a few sessions and conditions were not ideal but here are my first impressions. Was out at boat ramps which is a place I've never kited before for full disclosure. First up the kite is heavy, very solid but heavy. Very similar to my old GTS's, big leading edge etc. Launch, nice, the first thing you notice is it has a lot more feel through the bar, nicer smoother power. This is one aspect I really like, gives you a good feeling with each in and out. Don't know about OP sore arm comments I did not feel this but the section did use to flog my forearms after a good session. The Nexus actually feels better in this department. Power. The power is nice and I sure 90% of people would prefer it over the section, not so on/off, a lot smoother but here's the kicker, it didn't feel that much more than the section, very minimal, which compared to the drift you lose doesn't balance. I watched every review prior to purchase and there was to guys doing a comparison and they said the section felt more powerful through the turns, especially when looping. They also said it sat deeper in the window and this is maybe why?? I definitely second this, power similar, loops had nothing, my wife could loop this kite. Which when you need to get through a section is so important as I found out. Which leads me into the drift. Soooo poor@!@!!! This isn't a wave kite, that comment is a joke. For clarity for those who are unsure this isn't a mix of GTS and Section like some people are sprooking, its a mixture of GTS/ XR. Very big difference. So in three years I never had my sections back stall on a wave and fall from the sky. The nexus back stalled multiple times, always just saving it but only just. One time didn't. I can count on one hand how many times my section hit the water and in two sessions on the Nexus would be more. The nexus sits really far forward in the window, almost 70 degrees to the wave face, making wave riding really hard. 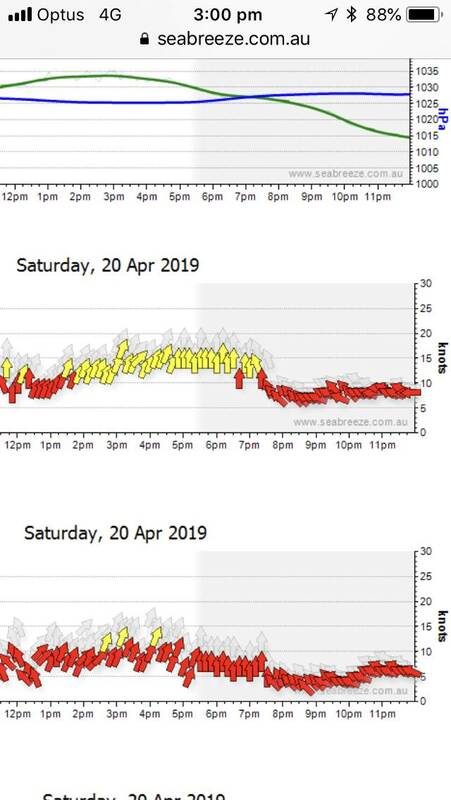 My mate was on the new Reo and his kite sat perfectly 10 degrees of the wave face. The comment about down the line Gnarloo, hahahah!!! hilarious! I could run down the line at boat ramps cuz I kept overtaking my kite, nevermind Gnarloo. I constantly had to keep cutting against the kite resulting in me on the reef or in the whitewater, not cool. To the point, I was only picking off the little ones as I knew I couldn't hit top speed as it would end very badly. All in all the nexus is a great kite, it is just not a wave kite, please make this clear. It doesn't come close to the section in this department. People made the comment that an all-rounder can't do it all and it cant. Its a good at 90% of riding, just not waves. Everyone feels things differently, I just thought I would share my feeling to balance the view for people. I too read AndreC's original review and was pretty much sold on the Nexus and hastily ordered a 7m and 9m. Try and ride an equal mix of twin tip trying to boost as high as possible, surfboard and foil. I came from riding a 9m FX and a 7m dice and weight about 75kg. Over the last month I have had the 9m out on the surfboard 3 times and foil about 3 times. On the surfboard I love the kite and prefer the all round setting over the wave setting because I get more power and the kite loops just as well and drift feels similar. Haven't tested on a tt yet in the freestyle mode so cant comment here. I only switch the wave mode if I am foiling, and for a foiling kite it works pretty well too. I disagree saying that the kite is heavy. Definitely heavier than a no/mono-strut and probably heavier than a section or reo, but its on par with the FX and dice, and appears to be made from better materials, meaning although heavier it's a more robust kite. To add to this, I have foiled with the 9m down to about 10 knots with no problems, unless you drop the kite at which point you may not be able to relaunch it. The kite probably doesn't drift as well as the section, but a huge improvement on the FX or dice. It doesnt stall when changing tack and seems to fly across the window on command generating nice power. Because I have come from riding these non-wave specific kites my technique is geared towards flying the kite across the window to make it drift, however sometimes i do go down the line straight towards the kite and as long as it is between 11 and 1 have had no issues, and no issues foiling going downwind toward the kite. I would say that one area I am disappointed is the grunt of the kite. I upgraded thinking the nexus would have more grunt than the FX (which was my main kite), but to my dismay is about the same (maybe slightly more). I struggle to believe that AndreC who is 15KG heavier than me is able to stay upwind in 13 knots or whatever he said on a 7m. I think I could do downwinders on the 7m in 13 knots but probably not stay upwind at an ocean spot on an average surfboard. Overall very happy with the kites as they seem to work across the 3 styles I am interested in (yet to test TT but feels good, and cant wait go blasting on it in high winds on a TT). I think if you don't mind a bit of active input to get the kite to drift and want to ride tt occasionally the nexus may be for you but if you just want the kite to drift without input then the wave specific model would be more suitable. Agreed, the Nexus is a great all round kite, but as stated its not a wave kite as the tread indicated. It probably drifts better than most allrounders but nowhere near a dedicated wave kite. If you like the Nexus try a section you would love them. Especially for foiling, I don't foil but I think they would be amazing as they are filled with helium and fly themselves. I posted here that they are one of the lightest on the market, similar to some monos. The good thing that I found is after three years of heavy use they were still in really good condition due to the core manufacturing. So lightness wasn't offset by quality. Great kites, would recommend them to anyone. Not sure, that pic I posted on page one was just something I found. The kite appears to have more reinforcement, more stitching, the larger leading edge always makes a kite feel bigger bulkier. The section felt tiny in your hand when flipping them over. The first Dice model in 2014 was also an all rounder that was geared more towards wave riding. It was pretty decent to except the wing tips flaired on it in the end which they did fix from 2015 on. It then became increasingly moved towards the C kite end of the spectrum to optimise it's natural characteristics . I'm wondering if the nexus will do the same. I just can't see how an all rounder can be as good as any specific wave kite myself especially with the reported mix of kites they used. There is always a compromise somewhere. But there are also many ways to ride waves so one can adjust. Demo I suppose and see if it fits your agenda. Also there is experienced & then there is elite. I doubt many elite riders would pull out the Core Nexus over say an Airush Wave at lakey peak. and also there is just alround marketing bs backed by hard pimping. I think Seabreezers forget one simple thing when it comes to kite reviews. A kite review is one riders (hopefully) honest feeling about their experience with a particular kite. We do not expect anyone to purchase a kite simply on the say so of a anyone regardless of if they are a team rider, a shop guy or girl, or anyone else for that matter. A review is not a "call to buy", we prefer to see it as a "call to demo", so that you can make up your own mind. You would be a fool to spend two grand on any product on the word of anyone you don't know and trust, without first demoing one from a mate, a shop or a random frother on the beach. I think Andre has been pretty fair and objective in his reviews. I think it's human nature to want to share your stoke with others if you find something you really really like. Obvious pimp reviews come across as just that. Maybe it's easier to pick for someone in my position where I get to try lots of kites and can then test my experience against that of the reviewer. It's all for the love of kiteboarding people. Happy Easter! Kite was for sale on here for half of retail, so I snapped it up. As I've owned every kite from Core, not so much of a gamble as I know the build quality etc. and had owned the mix of kites that this kite stemmed from. Then posted my first impressions, which were I high doubted that the review was a 100% honest. Call me BS, I just questioned the point that the OP poster said how he was flying a 7 in 13knots and it was better than any wave kite on the market. Therefore I balanced this with what I felt. You'll notice I never made any exaggerated claims, just pointed out how it sat in the window etc. All good mate, the BS call was a bit much, apologies. I just really wanted to stress the point that the nexus isn't no where near the section etc. Agreed, it is a epic kite, just not as good in the waves as expected. Good news is kites are cheep so no stress having a bit of variety in the quiver. not to contribute anything on the review side other than that there are 15 knots and then there are 15 knots; meaning that I nowadays pretty much only look at the gusts, with 15 knots you might have 20-22 knots pretty steady wind, and I would say it's then 20-22 knots weather, not 15, I think the average is not that usable indication of wind. If one claims that there is truly no more than 15 knots and one rides 7meter kite close to 90 kg, this I don't believe. Stood on the beach being peppered with sand around knee high, Someone nearby, with a anemometer announced the wind speed to be 15 knots. Others were flying 5 to 10m kites.